If you deal with computers regularly, I'm sure you've heard the term "in the cloud." The simple answer is "in the cloud" is just someone else's computer. When you create a Google Doc on Google Drive, all your text, images, and photos are stored on Google's computers instead of your own. If you use Gmail, the email processing is also done on Google's computers instead of your own. When I say Google's computers, I'm really saying Google's "servers," which are powerful computers that specialize in storing, retrieving, and serving up data anywhere from apps to websites. Servers are generally stored and protected in large buildings called "data centers," which feature almost endless rack of stacked servers. Data centers are not just regular buildings. They are constructed with powerful cooling systems since servers get really hot. Data centers also require backup electrical generators in the event of a power outage. With Saas (software-as-a-service), the latest version of the applications you need to do business are made available to all customers as soon as they're released. Immediate upgrades put new features and functionality into workers' hands to help them be more productive. 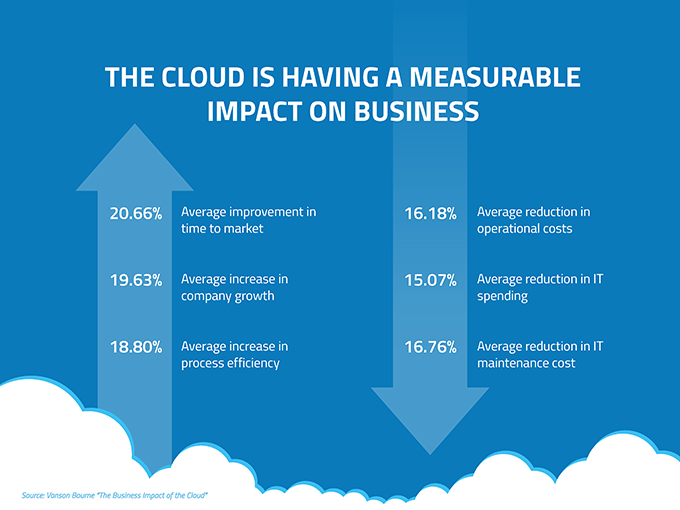 20 percent of organizations are concerned about the initial cost of implementing a cloud-based server. 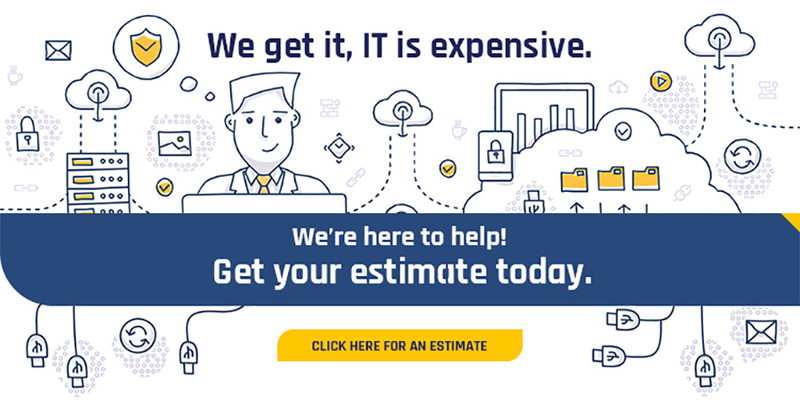 If you are weighing the advantages and disadvantages of using the cloud you need to consider more factors than just initial price, you should consider ROI. Cloud computing allows mobile access to corporate data via smartphones and devices, which, considering over 2.6 billion smartphones are being used globally today, is a great way to ensure that no one is ever left out of the loop. Cloud applications improve collaboration by allowing various groups of people to meet virtually and easily share information in real time and via shared storage. So what do these servers do? Whenever you log into Google Docs or Google Sheets to view a document or spreadsheet, Google retrieves your data from its servers and shows it to you via your computer device. This process is also happening with other apps (applications). In most apps on your smartphone or computer, like your camera app or Microsoft Word, the code just runs on your device. However, web apps, apps that you visit with your browser, like Gmail or say Yelp, run a large portion of their code on distant servers. For example, all of the Gmail code to send, archive, receive, and search emails runs on Google's servers; the buttons you click in your web browser inform the servers as to what action to perform. In short, when your data and apps move "to the cloud," they aren't disappearing, they're just moving to a company's servers. Think about a cloud storage service like Dropbox, which lets you sync your files between devices and back them up in the cloud. It's very convenient. You don't have to email files to yourself, and you have the peace of mind that your files are safe even if your laptop is stolen. While there are some risks, the convenience and security of cloud storage make it an overall strong choice. 94% of business claimed, saw an improvement in security after switching to the cloud. 91% said the cloud makes it easier to meet government compliance requirements.